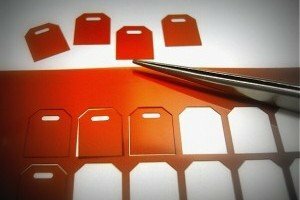 Micron Laser Technology provides a cost-effective solution for converting most any sheet or roll stock materials into ‘preforms’. Preforms are generally laid out to maximize part quantity on specific sheet size. Our preforms can be turned in 24 hours with an assortment of stocked materials for expedited orders. 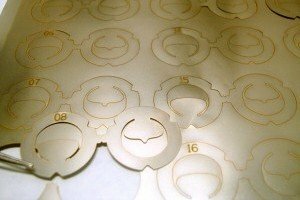 The advantage to laser produced preforms is no requirement for expensive tooling or dies. This eliminates quality issues contributed to tooling wear. The first preform will be produced with the same quality as the last. As a converter for some of the largest material manufacturers and distributors, MLT provides complementary value-added services. This may include your special packaging, packing slips, and labeling drop shipped to your end customer. First article inspection reports, certificate of conformance, and samples are available upon request and at no charge. Laser marking a company logo, serialization, or barcodes can be added to any part. Modifications to your preforms can be easily changed on the fly that quickly enable first articles for testing or prototypes. With a cutting kerf of 20um and holding similar tolerances, preforms can be nested to minimize scrap or waste material costs and produce features not possible with traditional machining or dies. In many cases, a material can be processed without the removal of its adhered protective film or paper to prevent surface scratches and cleanliness during fabrication, handling, and shipping. Preforms can be fabricated with or without pressure sensitive adhesive (PSA) backing per your design. Despite the raw materials format or size, our internal material prep processes can cut larger sheets into smaller form factors for efficient manufacturing. Precision laser machined metals include stainless steel, red metals, precious metals, foundry metals, nickel, molybdenum, titanium, and other special alloys in the form of sheets, foil, expanded metals, wire mesh and cloth. Even metalized tapes like aluminum tape are excellent for preforms. 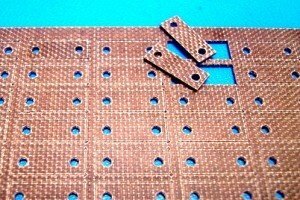 Nonmetal preform materials include thermosets and thermoplastics, rubber, cork, fiberglass, silicone, paper, sponge or foam, felt, ceramics, and leather/fabrics. To view our comprehensive listing of flat stock materials for preforms, click Materials. Material selection is critical for many application. Our experienced technical sales staff is available to recommend materials based on cost, physical and performance properties, Mil-standards, and producible edge quality.